We are starting to feature an AutoTweetNG plugin every month as a way to present new ideas for your site and our integration efforts to support our customers. In this first opportunity, we have the pleasure to showcase the Komento plugin. StackIdeas Komento is a lightweight Joomla comment extension to manage user comments in articles, blogs, and more. The Joomla Community Team has come up with the very first Top Ten Community Choice Extensions. StackIdeas Komento is one of the top ten extensions. Also, StackIdeas EasyBlog is in list (AutoTweetNG-EasyBlog plugin is already available). With AutoTweetNg plugin, every comment can be published to several social networks (with auto-publishing or manual approval). It's an excellent solution, very easy to configure, flexible, and powerful. We've developed the new plugin in a couple of days. You can check and test a simple showcase here. Please, let us know about your experience with StackIdeas Komento and AutoTweetNG! There's no two without three... we are also publishing AutoTweetNG for EasyDiscusss! EasyDiscusss is a solution to implement Questions & Answers for your website. 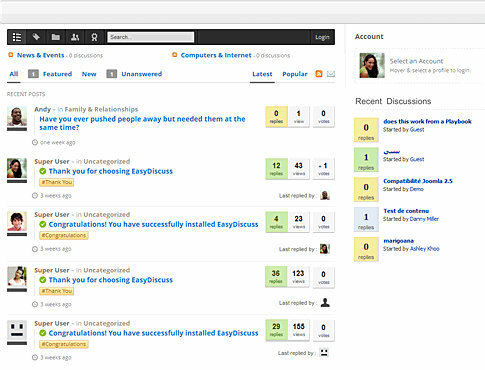 It's the most versatile extension to start a forum, spark user conversations and exchange ideas in your Joomla site. Now, also supported by AutoTweetNG! It allows to publish the content to social channels, format messages, push first question, or replies, add hashtags, or route according manual rules, to support your full Social Media Strategy. 1st-movers.com is down due technical problems, ahead of December deadline. As we've already planned the transition with plenty of time, AutoTweetNG Basic and Pro v6 are already working based on Extly.com. If you still have a previous version, please, upgrade to the latest v6. 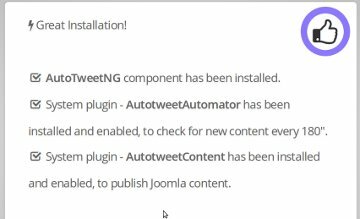 If you can't upgrade your site, you can download and install AutoTweetNG v6 in a testing site, configure the autorization and copy the settings to your AutoTweetNG v4 or v5. All Prieco's Products now on Extly! In July, we joined forces with 1st-movers family of products. Now, we've moved all of our Prieco's products to the new operation. We have ramped up our team to provide a high quality professional service! 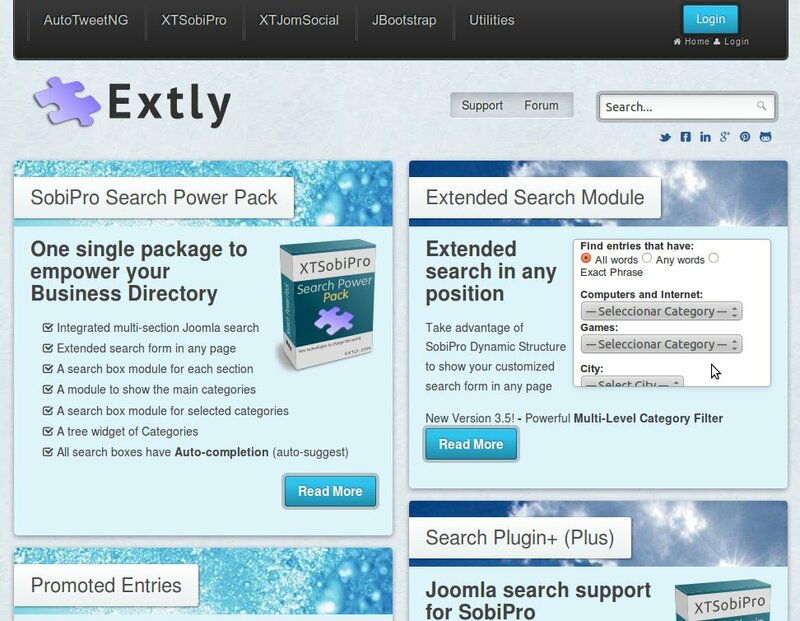 XTSobiPro: Promoted Entries, Extended Search Form, Joomla Search Plug-in, etc. XTJomSocial: Watermarks, Business Directory Pages, etc. 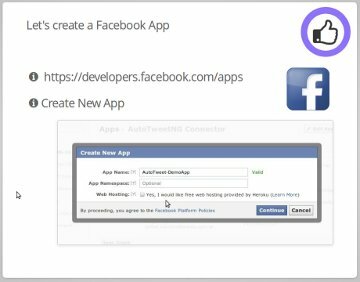 We've create a new presentation and video about AutoTweetNG, to create Your Own Facebook App. As always, we've created the presentation with JImpress. In this opportunity, it shows how to configure AutoTweetNG implementing the App in an external hosting site or in your Joomla site. Please, click here to view the presentation. In our road to update AutoTweetNG Pro (v6.3.0) and support Joomla 3. We've commited a major review. Today, it's oriented ONLY for early adopters. It's implemented in our main site, and in our brand new demo site http://demo.autotweetng.com. We are creating new presentations and videos for AutoTweetNG. We've developed JImpress to create and record our presentations. The first one is about how to configure AutoTweetNG in 5 minutes.